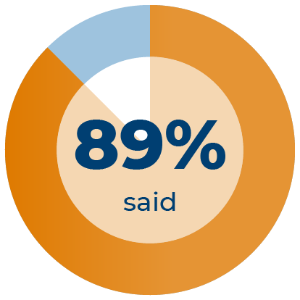 GradReady® helps students actively learn about financial wellness topics. Its interactive online curriculum makes it easy for students to engage in exercises to support better outcomes. They will learn how to gauge their debt-to-income ratio, budget their funds, and calculate future loan payments. "GradReady helped me learn how to pay for college"
"GradReady improved my financial behavior"
"I feel more confident with my money after using GradReady"
An organized, incremental approach speaks to students with the right lessons at the right time—before, during, and after college. 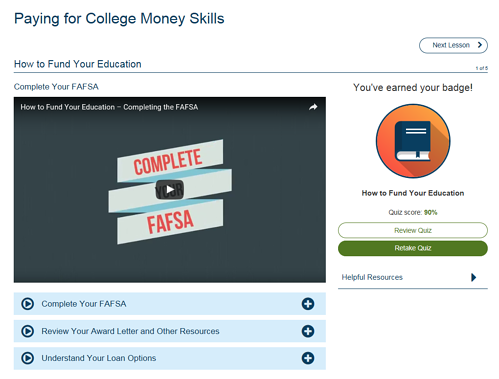 A flexible ADA- and UDAPP-compliant suite of 16 online money management lessons includes engaging videos, helpful resources, and real-world tools. 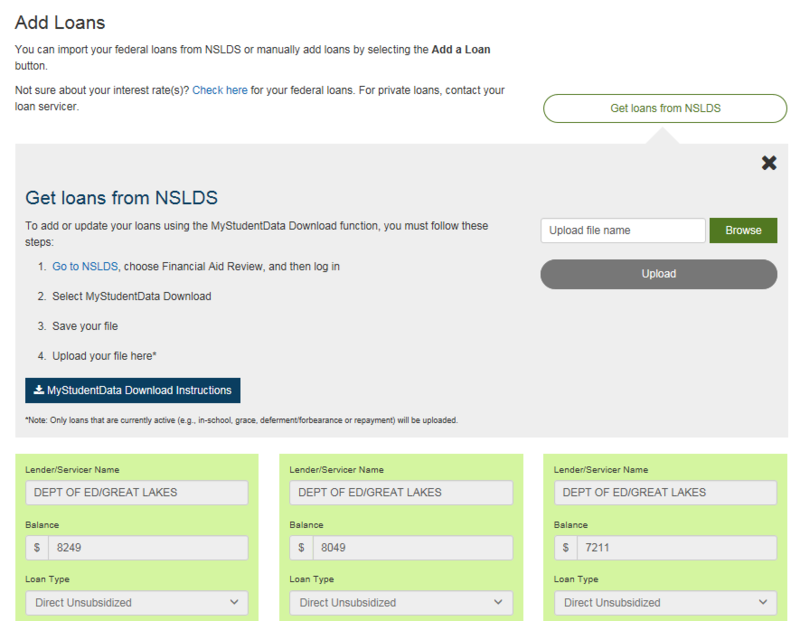 NSLDS integration lets students import their federal loan data to track indebtedness and begin repayment planning. Take a self-guided tour in our demo website. 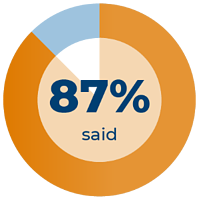 Just create an account to view videos, tools, helpful resources, and to find out why schools across the country use GradReady as part of their student success programming. GradReady is available for all post-secondary schools. Sign up to bring this behavior-changing, confidence-building tool to your students.